One Man, Two Guvnors brings 1960's Brighton to Glasgow this week, and from the moment I walked into the Kings Theatre and was met with a skiffle band I knew I was in for a good night. The crazy story centres around down-on-his-luck Francis Henshall who finds himself with nothing in his wallet and even less in his stomach. To combat this issue he seeks employment with two different men - Roscoe Crabbe and Stanley Stubbers - and does everything in his power to keep them apart. Unbeknown to Francis, Roscoe is actually Rachel Crabbe disguised as her twin brother who has been murdered by none other than Stanley. The cast handle the physical demands of this play with ease. Gavin Spokes is absolute genius as the man with two guvnors and throws himself into his performance with gusto. Spokes is genuinely funny with side splitting improv skills - this casting could not be more on point. Fast paced dialogue and witty banter come from all the cast but Alicia Davies and Patrick Warner particularly shine playing the demanding guvnors. Special mention to Michael Dylan who had the audience crying with laughter at his portrayal of slow- moving geriatric waiter Alfie. The show is refreshingly different and really packs a punch, and with the skiffle band returning during scene changes there really isn’t a dull moment - not to be missed! 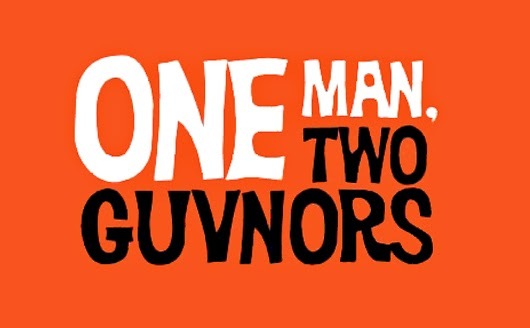 One Man, Two Guvnors is at the Kings Theatre until Saturday 5th of March.